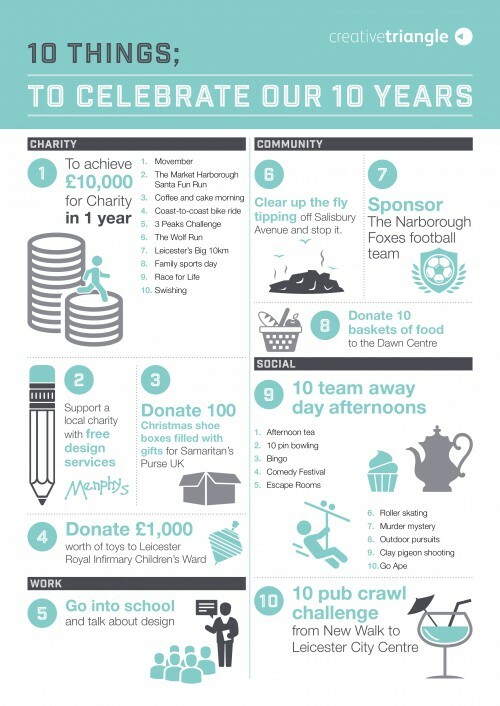 On 10th October Creative Triangle celebrated 10 years in business and as part of our ten year celebrations we have set some challenges to make a difference to the community, charities and our team. We are trying to raise £10,000 for charity in 12 months. Everyone in the team put forward charities and the chosen 3 are – Cancer Research, British Heart Foundation and Leicester Hospitals Charity. We have set ten challenges to raise 10k and different members of the team will be taking part in the following events over the year.